Buying 100 oz Silver Bars made of fine 999 silver bullion is a great way to gain low premium per ounce price exposure to the world’s fluctuating silver spot price while also owning 100 oz Kitco Silver Bullion Ingots in large easy to stack and stow increments. Struck by Sunshine Minting Inc. (SMI) and both bought and sold by Kitco Metals, this 100 oz silver bullion bar features Kitco and Sunshine Minting Inc.’s logos respectively. In the middle of this fine 100 oz silver ingot there is an explicit stamping of its 100 troy ounce weight and fine 9999 silver bullion purity. Kitco also guarantees to repurchase all its Signature Silver Products at or above the fluctuating silver spot bid price prevalent at the time of resale. You can choose to take direct discreet delivery to door or elect to simply store 100 oz Silver Kitco Bars safely and securely with Kitco Allocated Storage. Find out more about keeping your silver bullion and physical precious metal bullion purchases secure, with our Global Precious Metals Storage Solutions. Why buy Kitco 100 oz Silver Bars from Kitco? 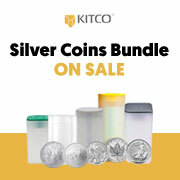 Kitco is a trusted leader in the silver bullion and physical precious metals industry. Silver bars and other physical precious metals sold by Kitco are recognized in bullion markets around the world. With our focus on silver bullion bars, you can benefit from our low silver bar prices and premiums that are highly competitive in the industry. At Kitco, we make it easy for you to manage your tangible wealth. The Kitco 100 oz Silver Bar(s) you receive may not be in absolute mint condition.